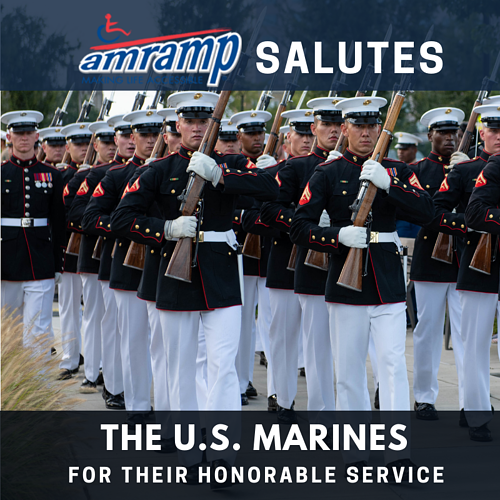 With the passage of another Veterans Day, we at Amramp would like to propose that Americans think of both active duty and veterans every day. 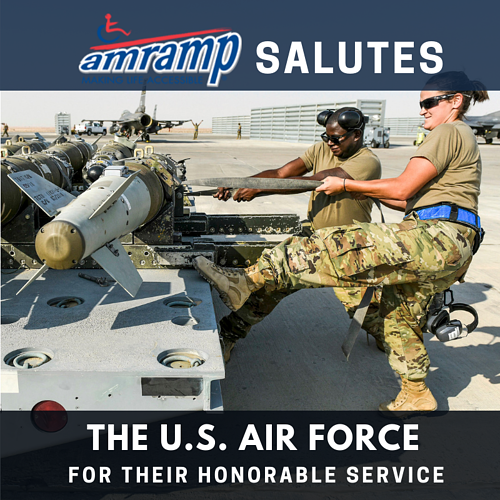 The wars in Iraq and Afghanistan come home to our communities when we welcome soldiers, sailors, airmen, and Marines: Nearly all of Amramps’ independent owners have supported such homecomings, bittersweet as families cope with service members’ injuries. 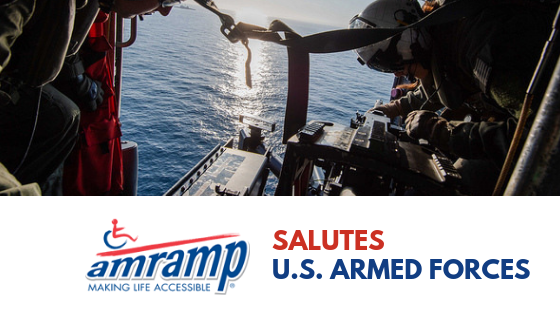 All 40 Amramp franchise locations nationwide, strive to make these homecomings as seamless as possible, returning these heroes to their families as quickly as possible once they are discharged from medical facilities, installing modular ramps generally within 48 hours. In some cases, the wheelchair ramp is only temporary. As happy as our professional installers are to provide the ideal ramp rental for every situation, we’re equally thrilled when that ramp is no longer needed. 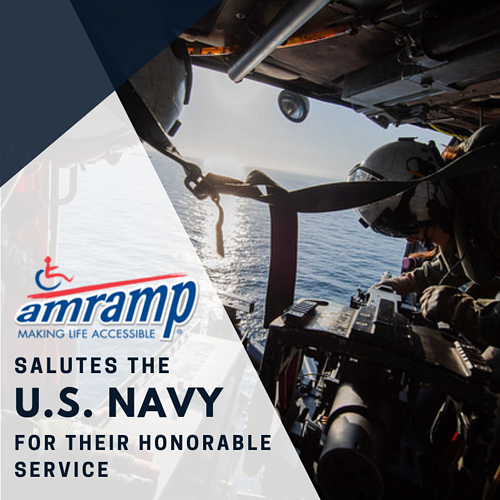 In long-term cases, Amramp provides the ideal wheelchair ramp solution that can hack almost any weather. 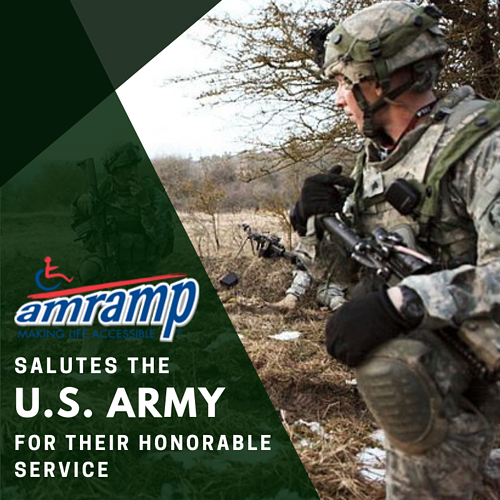 Whether it’s long-term, short-term, or uncertain, Amramp is committed to making sure our customers, veterans or not, are satisfied. Your home should be welcoming you, not worrying you. Call Amramp today to schedule a free on-site estimate. 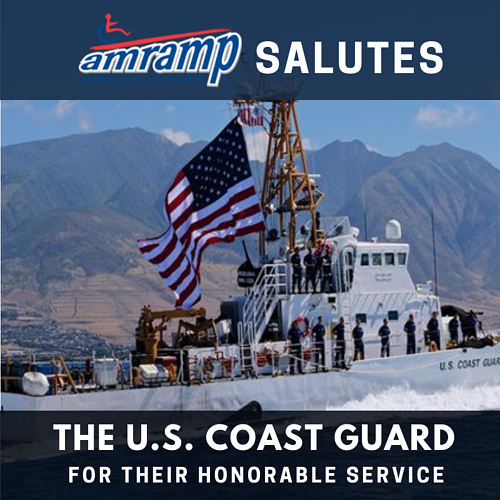 Please contact Amramp’s National Call Center at 888-715-7598.